New Delhi, Oct 4 (IANS) The 46th edition of Cervantino International Festival, to be held in Mexico, will see India participating as a guest of honour, with an elaborate programme of performing arts, Indian Council for Cultural Relations (ICCR) Director General said here in a press conference on Thursday. The festival, started in 1953 with a focus on theatre, had India participating regularly since 1979. However, it will be India's first time as a guest of honour country, ICCR's Director General Riva Ganguly Das said in her brief. 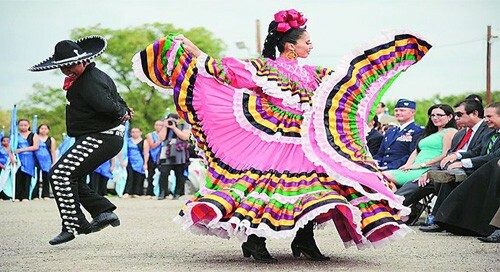 The nearly three-week long festival will kick off on October 10 in the heritage city of Guanajuato in Mexico. It will conclude on October 28. The cultural festival is named after the great Spanish writer Miguel de Cervantes -- called the "Spanish equivalent of William Shakespeare" by Mexican Embassy's Chargé d'affaires Armando Vivanco Castellanos. Das also said that the festival will see a Kathakali performance on one of the major literary works of Cervantes, "Don Quixote". In the dance category, the participating groups are the Danceworx (contemporary), Malavika Sarukkai Group (Bharatanatyam) and Manipuri Jagoi Marup Group (Manipuri). Ustad Shahid Parvez Khan (Sitar), Rashmi Agarwal (Sufi and devotional), OzoneRaaga (fusion) and Samandar Khan Manganiar (Rajasthani Folk) will participate under music category. Adishakti, Meher The Troupe and The Margi will participate in the theatre category. The festival, apart from performing arts, will also host activities around food, film, yoga, art and photography, among others. A notable exhibition of lensman Amit Pasricha's "The Sacred India" will show Indian devotional spaces in photographs. It will run along the length of the larger festival. ICCR will also donate a sculptural bust of Mahatma Gandhi, created by renowned sculptor Ram Sutar, to the Municipality of Guanajuato.